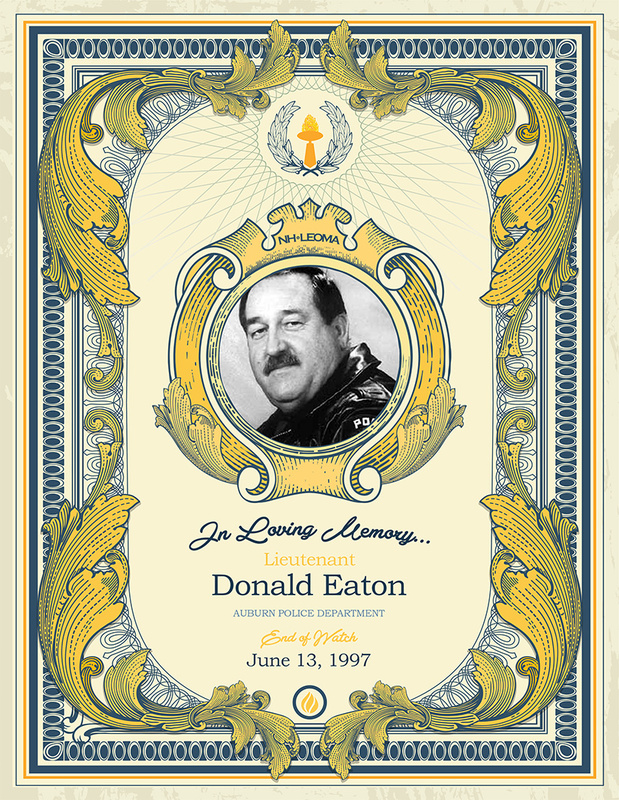 Lieutenant Eaton was born in Portland, Maine, and had been a resident of Derry, New Hampshire since 1969. He served his country in the United States Marine Corps for eight years. In 1991, he joined the Auburn Police Department, after serving twentytwo years with the New Hampshire State Police. On June 13, 1997, Lieutenant Eaton was on duty at the Department reviewing court files when he suffered a fatal heart attack. Officers at the station were unable to revive him. He was 53 years old. He is survived by his wife, Deborah, his three sons; Michael, Robert, and Jason and three granddaughters.